Namibia's capital, Windhoek, is nestled at the intersection of two deserts: the Kalahari and Namib. Precipitation is as scarce as surface water resources. To overcome this climatic difficulty, Windhoek has been transforming wastewater into potable water for 50 years and it works! Since 2002, a new factory has been providing 35% of the drinking water for nearly 400,000 inhabitants. [PARTNER ARTICLE] Windhoek is a brown earth city that reinforces the idea of a clean city. Even more striking is the fact that it is surrounded by small mountains that resemble sand dunes. This is only natural, since the capital of Namibia is located between the Namib and Kalahari deserts. Like in all arid regions of the world, water is scarce. To meet the needs, authorities have built several dams, including the Omatako dam, located more than 186 km from the city. Due to the drought, the flow of the Omataka River has decreased, causing the dam level to fall. Another solution, to bring water to the inhabitants of Windhoek, was to collect rainwater. It is a common practice in the north of the country, with the famous Oshanas. These are natural ponds that fill during the rainy season. The water collected is often pumped for irrigation during the lean season. With the decrease in precipitation, the capital could not rely on this option in the long term. Windhoek could also have invested in seawater desalination. Too expensive and too far: the sea is located more than 350 km away. The authorities have therefore chosen to reuse water. The difficulty of Windhoek in terms of providing the population with drinking water is not new. A wastewater treatment plant exists in the Namibian capital since 1968. Wastewater recycling is practised in other cities in this southern African country. Like in Swakopmund, Walvis Bay, Tsumeb, Otjiwarongo, Okahandja, Mariental and Oranjemund. However in these localities, the treated water is used for irrigation. In Windhoek, on the other hand, treated water is injected directly into the city’s drinking water distribution system. In the 1990s, with the rural exodus and population growth of the city, the authorities decided to increase the production capacity of the Goreangab wastewater recycling plant. In 2001, a consortium of three companies was chosen to boost the production of this facility: Veolia, a French company specialising in wastewater treatment and the environment, Berlinwasser International GmbH, a company based in Berlin, Germany, and VA Tech Wabag Limited, an Indian company. Together, they created a joint company: Wingoc (Windhoek Goreangab Operating Company). Wingoc therefore delivered a new wastewater treatment plant that provides 21,000 m3 of drinking water per day, or 35% of consumption. Veolia highlights the installation of cutting-edge “multi-barrier” technology: ozonation, ultra-filtration on membrane and residual chlorination. This process removes all pollutants and contaminants. These various treatments, combined with rigorous biomonitoring programs, guarantee quality drinking water that is safe for health. This is a global benchmark, as only the cities of Windhoek and Singapore (in Asia) produce drinking water from their wastewater, which is re-injected directly into the household supply system. 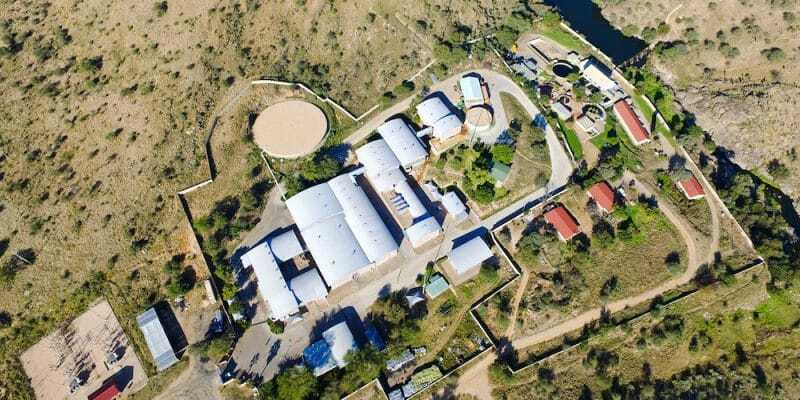 Consuming drinking water from a wastewater recycling plant is an idea that still sometimes questions some people, even in Windhoek where the solution is proven and very reliable. It’s important to know that “everything is done biologically: bacteria help digest waste and extract it from the water, mimicking what happens in nature, but much faster,” explains Justina Haihambo, process engineer at the Goreangab wastewater treatment plant. It is an ecologically efficient and more economically profitable solution in a city where “every drop of water counts”. In 50 years, no major health incidents related to the consumption of this water have been detected and this system is expected to continue to provide clean drinking water for several decades, since the new plant is even more efficient in terms of the quantity and quality of drinking water produced. The experiment inspired a pilot project for the small-scale reuse of treated wastewater in rural areas of Outapi, in the north of the country. The authorities have launched the CuveWaters research project there. In fact, the wastewater from 1,500 people is collected in vacuum sewers and treated to eliminate all pathogens. In Windhoek, the authorities are also considering the construction of a second plant to recycle wastewater into drinking water. 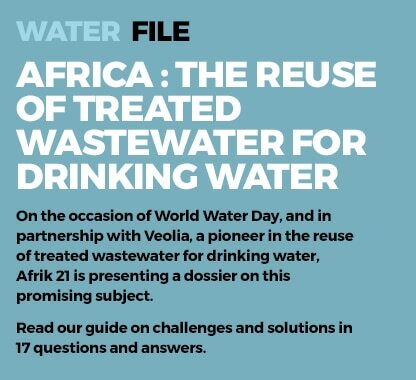 Article produced in partnership with Veolia.